Henry Immelman and Ruan Pienaar made valuable contributions as Montpellier beat Edinburgh 21-15, while there were also wins for Toulouse, Ulster and the Scarlets in round one of the European Champions Cup on Saturday. Montpellier and Edinburgh squared off at the state-of-the-art Altrad Stadium in France and produced a competitive Pool 5 clash. But in the end, the hosts did just enough to overcome their gallant Scottish visitors. Immelman, who was given a rare start at fullback, and Pienaar were instrumental in earning a hard-fought victory for Montpellier. 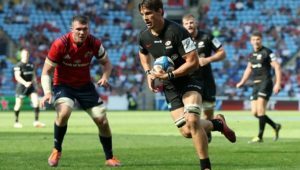 Playing flyhalf, the experienced Pienaar’s excellent game management was on full display as he set up two of his team’s tries and converted all three of his conversion attempts. 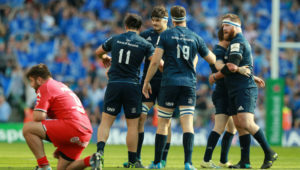 It was Pienaar who used the width of the field, ran at the Edinburgh line and drew the last defender before freeing up Immelman for the opening score. Edinburgh would level matters through Stuart McInally, but the hosts hit the front when Ben Fall scored. Then two of Montpellier’s South African exports helped them extend that lead. Nicolaas Janse van Rensburg went on a storming run into the 22 and when the ball was shifted quickly, Pienaar put in an inch perfect kick-pass which was collected by wing Gabriel Ngandebe for a third touchdown. Edinburgh looked to work their way back into the contest and when Bismarck du Plessis was yellow-carded for infringing after Montpellier had received a team warning, a window of opportunity opened for the Scottish side. But while they scored to get within six points, Edinburgh were unable to pull off a complete comeback. In a dramatic Pool 1 encounter, Toulouse escaped with a 22-20 victory against Bath after fullback Freddie Burns was made to pay for his complacency late in the game. Burns was about to score what would have been the match-winning try under posts, before Toulouse’s Maxime Medard came from behind and dislodged the ball out of his hands. In other results, CJ Stander went over for a crucial try as Munster escaped with a 10-10 draw against the Exeter Chiefs in their Pool 2 contest. 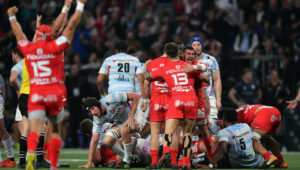 Racing 92 received a penalty try in the 76th minute to clinch a thrilling 14-13 win over hosts the Scarlets, while their Pool 4 rivals Ulster upended the Leicester Tigers 24-10.